Posted By:Unknown | At:10:14 AM Be the first to comment! Editor's Note: As a product of the FAMU/FSU College of Engineering, this issue is very personal for me. TALLAHASSEE -- A behind-the-scenes effort to divide an engineering program shared by Florida State University and Florida A&M University is igniting a lingering debate about racial inequality and how state resources are allocated in higher education. State Sen. Joe Negron says the plan will allow the universities’ “good” joint College of Engineering to morph into “great” individual programs. FAMU would keep the existing building on a remote part of FSU’s campus and current state funding; FSU would get $13 million to begin the multi-year process of creating a new program in a new building. “The important thing for FAMU is there is no reduction whatsoever for the College of Engineering at FAMU, they will continue to be funded at the current level,” Negron, R-Stuart, said. According to the Board of Governors, FAMU had 369 engineering students in undergraduate and graduate programs in 2013 and FSU had 2,142. FAMU opposes the measure and so does Sen. Arthenia Joyner, D-Tampa, who believes the historically black university and its supporters are being forced to fight the same battles they lost nearly 50 years ago. Joyner was part of the last class at FAMU’s law school in 1968 before the Legislature transferred its funding to a new FSU law school. It took FAMU more than 30 years to get funding to re-establish the program — in Orlando. She believes the state is trying to fix something that isn’t broken. 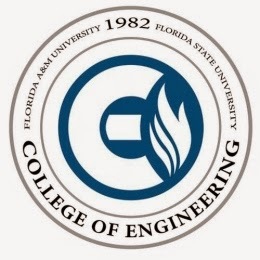 The FAMU-FSU College of Engineering is thriving, Joyner said, and this plan would create a “two-tier system” with competition for funding and resources. “Somebody’s going to suffer, and it’s going to be FAMU,” Joyner said. The split is being pushed by FSU advocates, who believe the university should have a standalone engineering school as it pursues a top 25 ranking. Although the university’s partnership with FAMU has been steady recently, FAMU’s administrative and financial issues have at times caused strain. Sen. John Thrasher, arguably FSU’s highest profile supporter in the Legislature and a rumored candidate for the school’s presidency, is championing the plan and has filed an amendment to the budget that would increase FSU’s allocation for the new engineering school from $10 million to $13 million. The Senate is scheduled to debate the budget Thursday. Specific language about how the separation would occur has not been crafted.